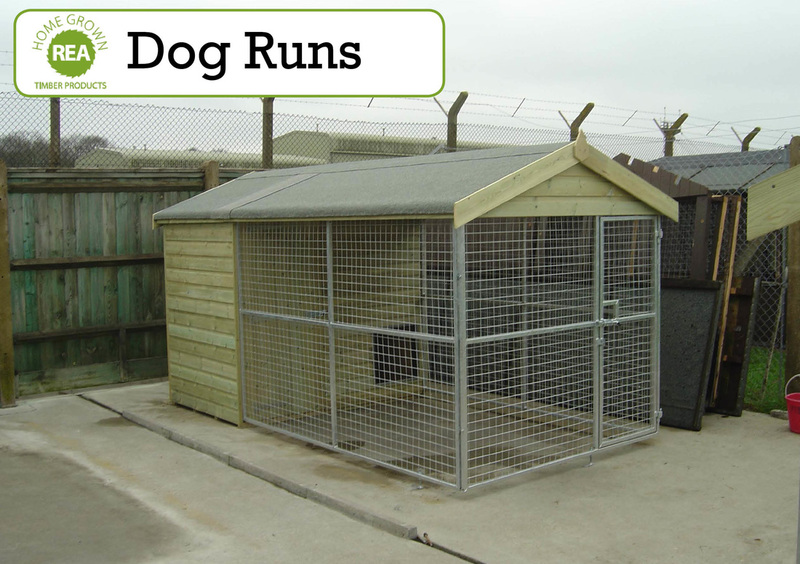 From our range of DOG KENNELS to DOG RUNS, we've have been supplying pets across the Northern Ireland with safe, sheltered and secure homes. DOG KENNELS - Rea Sawmills DOG KENNELS will give your best find a comfortable and spacious Kennel to relax in. In order to keep your pet warm and away from the cold ground they are built on 38mm joists and 20mm wooden floor. 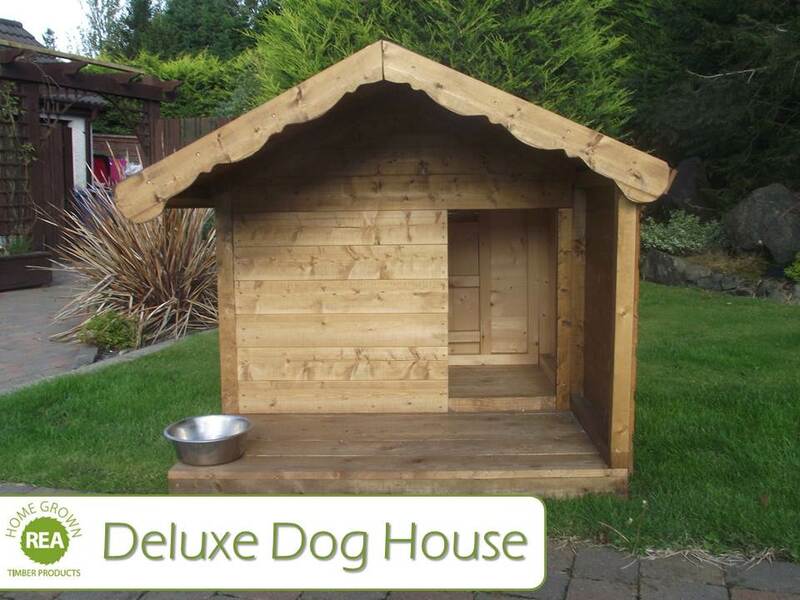 Tell our Sales Team the breed or size of dog you have and they can assist you in which Dog Kennels will accommodate. 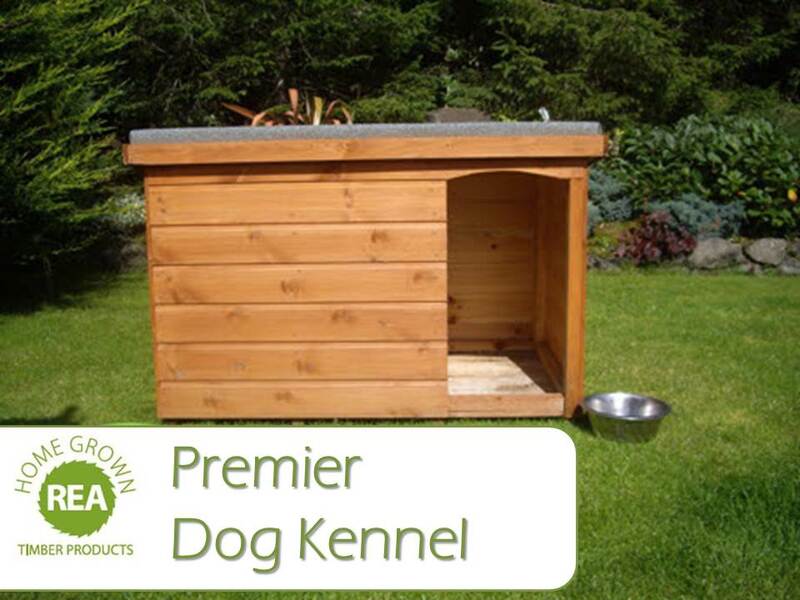 We are also able to produce made to measure Dog Kennels. 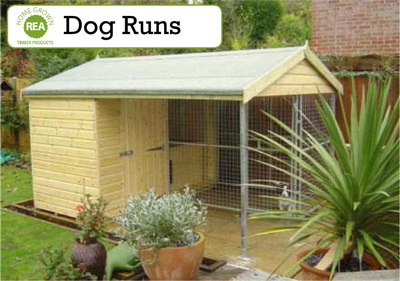 DOG RUNS - We have a range of sizes and models to choose from. We can also produce made to measure DOG RUNS or build a Dog run you have in mind. 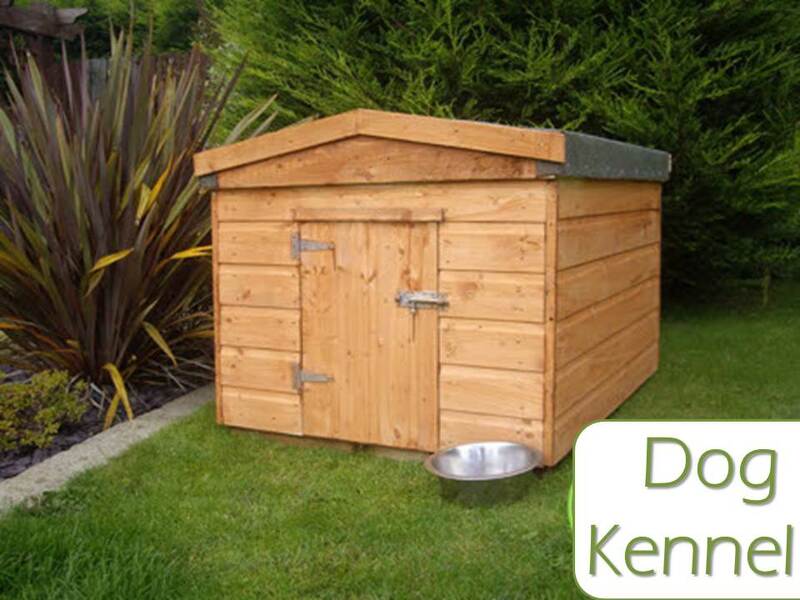 For more information have a look at our Dog Kennel and Dog Run Brochure. You can now order our Dog Kennels and Dog Runs online, in-store or by phone.